Commonfloor.com, the Bengaluru based startup excels in real estate and apartment management portal founded in 2007 by Sumit Jain, Lalit Mangal and Vikas Malpani. Both Sumit Jain and Lalit Mangal are ex alumnus of IIT Rourkee and Vikas Malpani, a Computer Science graduate from Vishvesraya Technological University from Belgavi, Karnataka. Commonfloor.com USP is combination of property search, apartment management and vendor management. The company offers property listings and reviews across various categories like apartments, villas, row houses and plots. It has developed unique technology based on Maps. The map based search service, overlays property listings and rental over the Google maps. The Commofloor.com has more than 5 lakh property listings, most of the listings are directly from the customers, builders, real estate developers. Commonfloor.com offers an online apartment management solution for residential communities, has features like discussion forums within community, member management and complaint management. Some more features likes income and expense tracker, sending SMS alerts to community members regarding maintenance fees and other activities. Commonfloor.com encourages listing by builders, agents and vendors. Real estate developers and builders like Brigade Group, Prestige Group and others. The company often organise walkthrough to its prospective customers to create awareness in making sound decisions. The services in Commonfloor.com are free for end users, however the company charges for businesses for listing, marketing and advertising on their site. The Commonfloor.com portal sees very high traffic in a day crossing more than 2 lakh user on an average day. Commonfloor.com has expanded and has several offices spread across length and breadth of India. The company has offices in almost all major cities or towns across all states. Commonfloor.com got several rounds of funding from venture capitalists. In 2009 company raised Series ‘A’ funding from Accel India. In 2012 Accel India and Tiger Global invested an undisclosed amount as Series ‘B’ in the company. The funds were utilised to scale up the company’s presence in several cities, upgrading technology capacity, talent hiring and expansion of marketing initiatives. The company received $7.5 million as their Series ‘C’ funding from Tiger Global and Accel India in July 2013. Further Accel India and Tiger Global funded Commonfloor.com for $10.4 million as part Series ‘D’ in January 2014. In September 2014, Commonfloor received Series ‘E’ for $30 million from Tiger Global Management LLC. This funding is one of the biggest funding by Tiger Global for any startup. “We empower people to realise their property dreams. This investment will support the team’s vision to think out of the box, innovate and lead the online real estate sector in its journey to further enhance user experience. We have more than doubled our revenues and traffic and the funding will further accelerate our growth plans. This round of funding will be used to invest further in our product and technology that will enhance customer experience” said Sumit Jain, Co Founder and CEO of Commonfloor.com. In order to grow Commonfloor.com has taken the route of mergers and expansion to achieve numero uno position in real estate search portal space. 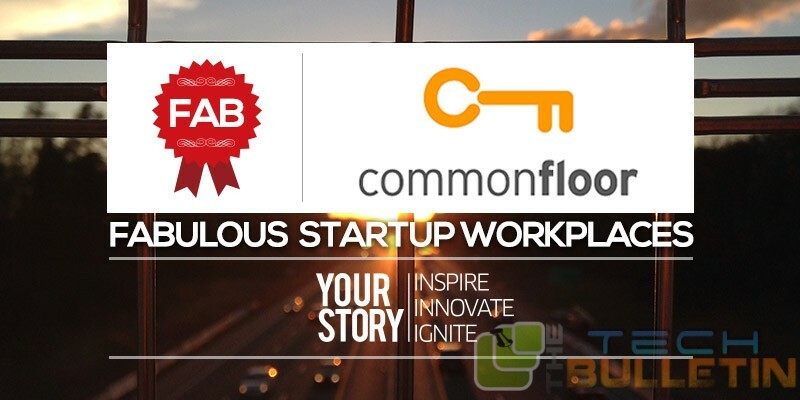 In 2014 Commonfloor.com acquired Flat.to in 2014 for an undisclosed amount. Flat.to is a real estate service that helps students and bachelor to find flats, paying guest accommodation and hostels across several cities like Mumbai, Pune, Bangalore and other cities. Flat.to was founded in 2013 by Gaurav Munjal and Aakrit Vaish. It had a tie up more than 200 colleges in Mumbai and Pune. Most of the students either use to approach brokers or agents to find accommodation. The platform has another feature where it helps to find flatmates for an individual who has found an accommodation. After acquisition Flat.to is an individual entity. Today it acquired a Bengaluru based startup Bakfy.com. Bakfy.com is a twitter like application for college campuses. Bakfy.com was started a year back by alumnus of NIT Trichy and Delhi College of Engineering namely Ashutosh Garg, Rajesh Eshwarlal and Niranjan Bala. The company was incubated by NASSCOM startup warehouse in Bengaluru. Commonfloor has acquired Bakfy.com for an undisclosed amount. Bakfy.com provides live chat for 50 plus colleges across India. In Bakfy.com, users have an option to post anonymously and non-anonymously also. Investors have been investing heavily in property portals like Commonfloor.com, faces lot of competition from portals like Housing.com, Magicbricks.com, 99Acres.com, and others. 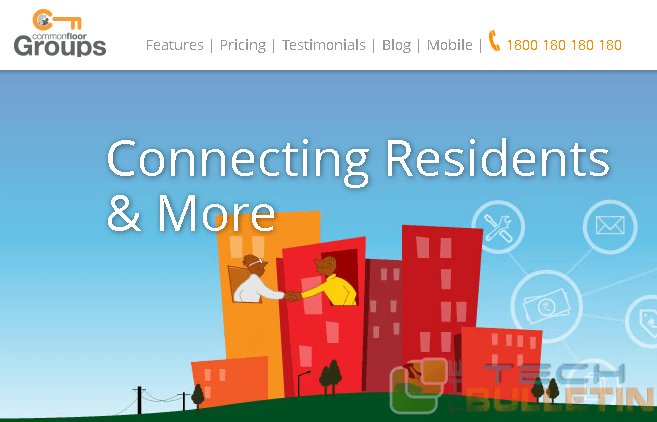 Recently Housing.com received fund infusion of $ 90 million from Softbank in December 2014. The market size of real estate sector is expected to grow up to $180 billion by 2020.